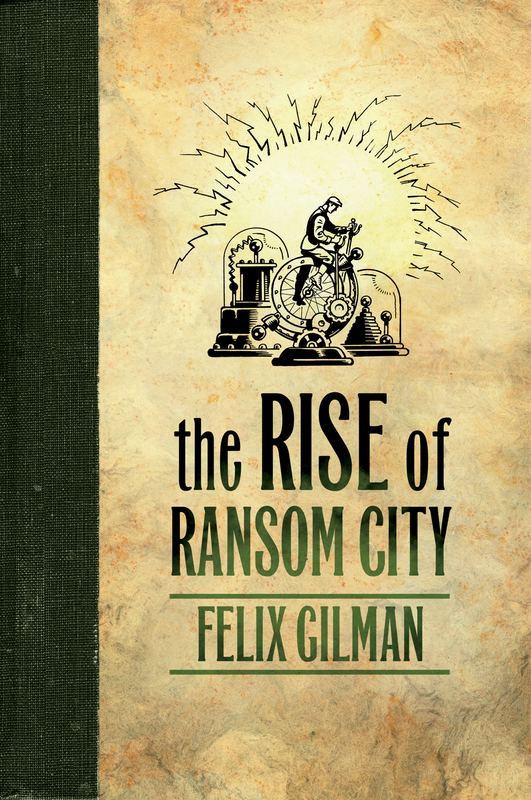 This review of The Rise of Ransom City by Felix Gilman (Tor, 2012) needs to start with one of the oldest jokes in the form of a riddle I know. It goes, “What’s the mystery about the idiom, ‘A fool and his money are easily separated’?” The answer, of course, is, “Where did the fool get the money from?” It’s the “ . . .upon their backs to bite ’em, and so ad infinitum.” wonder of where the first dollar originates so that it may work its way up through the layers of stupidity until it reaches the hands of the one clever enough to accumulate the biggest pile of loot. If I were to put this another way, I would be speculating on whether it’s possible to get something for nothing. In a capitalist market, only them as has the money can buy. There’s no profit in giving things away. But in markets with a more socialist inclination, there’s an acknowledgment that, where the poor are disadvantaged, you can redistribute commercial profit by discounting the goods or services to those in need or by the government taxing the profit and using the money for welfare purposes. Either way, the wealthy subsidise the poor. To regulate this fairly, you need a Social Apparatus that takes some input and then, so long as it’s safe, it runs itself, giving back to the poor. As a model, think of a player piano. Once you’ve invested the capital in building it, it can make music out of nothing for others, i.e. the machine is just a means to creating what others perceive as beauty in sound. The only problem is that the workings of any such apparatus in this fictional half-made world would be next to magic. Even the inventors might not truly understand how these machines would work except that it certainly wouldn’t simply depend electricity. It would be an interaction between mechanical parts, a programming system and a power source. For many observers, it would be as if the machines had somehow achieved some kind of independent existence and that the best of them could transmit value instantaneously over wide areas, perhaps even distorting literal and metaphorical gravity in the process. This would make some rather dangerous, particularly if there were instabilities in the machinery. Perhaps they should only be put into use right out on the edge of the world where everything is being continuously remade and, if a little bit of this new land should happen to come unstuck from the rest of the world, at least the rest of the world would feel a little safer. Or perhaps these independent machines could only work where the laws of science no longer truly apply and imagination takes over. This blending of science fiction, fantasy and a little weird leads us to the war between the Line and the Gun which is the same animism but taken to a whole new level. When you have something as radical as an Apparatus based on the Ransom Process while there’s a shooting match going on between two supernatural/metaphorical forces, this is just one more variable in an already uncertain world. A steadying or balancing force is needed, and it may come through the people. There’s the inventor of the Ransom Process that powers the Apparatus and the apparently reliable Carver who, for a short time, joins the team and then moves on. Then there are the waifs and strays picked up on the road like the “Harpers” who aren’t who they say they are (like John Creedmore and Miss Elizabeth Alverhuysen). In due course, more than a hundred dreamers and drifters who are infected by Ransom’s optimism might join in as part of a crusade. Except that does not mean patriotism and the war. Whatever Ransom may think he has invented, he knows it should not be used as a weapon, but as a way of fighting for a better way of life. Except there’s nothing in this half-made world that says the Line or the Gun has to leave him alone. If there’s one thing that does not come cheap in this life, it’s change. People will always fight over ideas and defy the prospect of progress. What makes the whole novel so fascinating is the picaresque style with disconnected autobiographical episodes from the life of the inventor, would-be entrepreneur Mr Harry Ransom, a man infused with the power of light while ill but not necessarily dying, edited for our consumption by Elmer Merrial Carson. 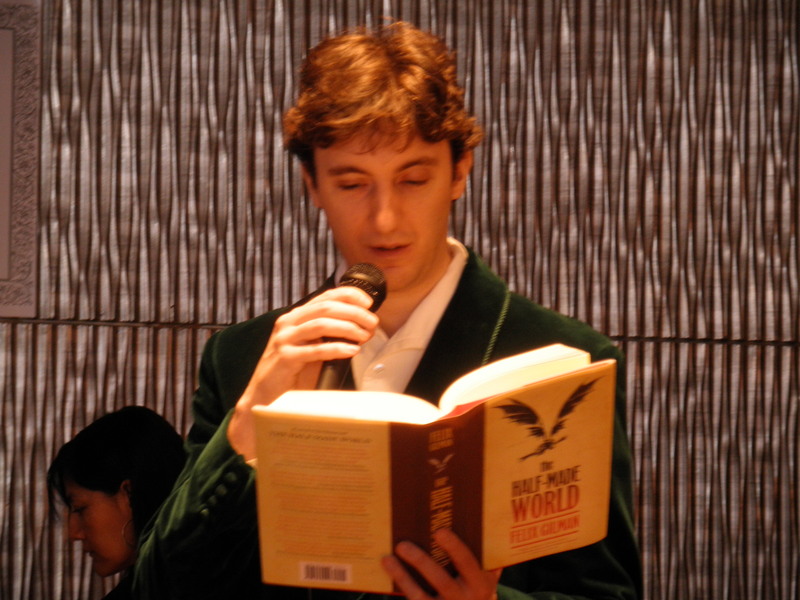 He’s one of these Genius Jones type of men who are inspired by books to do great things, but aren’t entirely sure how to go about achieving them. This gives a slightly Micawber feel to their journeys of discovery, believing they will learn from their experiences and, in the end, hoping something will turn up to give the best result. In a world that’s making and unmaking itself at the edge, this is actually the perfect state of mind in which to travel across the landscape. For, surely, those who travel believing disaster will strike at any moment are likely to fall off the edge before too long. The nice thing about this “sequel” is that it does follow on from the first, but only tangentially through a completely different point of view and with a radically different tone. In every way, it’s a delight to see the innocent Harry Ransom slowly learn about the world in which he lives and, to him more importantly, meet the man behind the book that so inspired him. The elegance in the irony of how that autobiography came to be written is just one more delight in a cornucopia of delights when you read this book. So watch as the hegemony of the Line fails. For all it has mass-production, organisation and ideology, it loses out to individualism. This is not to say capitalism has no place in the world when it has finished its initial burst of growth. There will always be a need for business and “profit” but it should always be subordinated to the needs of individuals. Think of it as a process of worship. Initially, the notion of capitalism or socialism seems so powerful, large numbers will uncritically worship. Other time, however, the worshippers begin to see flaws in the beliefs they hold. Their intensity waivers. Walls fall. Assimilation and integration occurs as the world slowly changes itself. But, of course, just as old beliefs fall from vogue, new ones replace them. Despite the centuries of human history, we’re still only half-made and there’s no end in sight. And that’s really the point of Ransom City. It’s the ultimately unattainable Utopia that’s always just within your grasp but never actually reached. It’s a metaphor for society’s holy grail with the quest described here as an allegory. As a final thought, this is a sequel and so you will not understand the real power of The Rise of Ransom City unless and until you have read The Half-Made World (and catch the simple elegance of the jacket artwork).